In Northern Montana, Glacier country is known for record breaking amounts of snow and relatively mild winter temperatures. Towering peaks and high passes of Glacier National Park are covered with snowy white blankets for a majority of the year. Skiers and snowboarders can enjoy backcountry skiing in the park as well as downhill skiing at the local Big Mountain Resort. In Northern Montana, Glacier receives record breaking amounts of snow with generally mild winter temperatures. Glacier National Park’s peaks and passes are covered with snow much of the year, offering Whitefish Montana skiing opportunities galore to skiers and snowboarders, along with great backcountry skiing in the park and downhill skiing at local resorts. 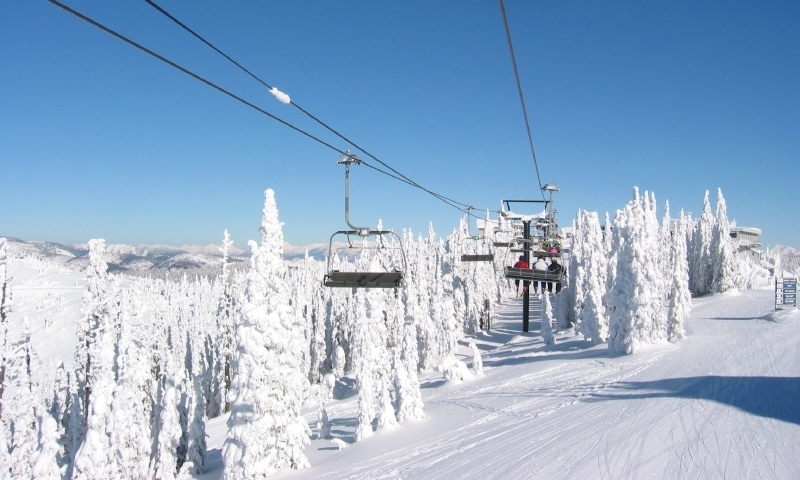 Skiers and snowboarders can enjoy resorts near Glacier National Park including: Whitefish Resort, Castle Mountain Resort, Blacktail Mountain, Turner Mountain, Fernie, Kimberly, Sunshine Village and Lake Louise Ski Area. Whitefish Resort (formerly Big Mountain Resort) offers breathtaking views of Glacier Park on its 3,000 acres of inbounds terrain and additional backcountry. Big Mountain grooms a majority of their trails and is a great area for families with skiers of all abilities. Skiers and shredders can enjoy the 2,500 feet of vertical rise and almost 350 inches of average snow each year and the Fishbowl Terrain Park. Season: Late November to the first part of April, weather permitting. Price Range: Daily tickets are $79 for adults. Location: 30 miles from East of Waterton-Glacier International Peace Park. Fernie Ski Resort has more than 2,500 acres of inbounds terrain, located in the Southeast corner of British Columbia, and offers 5 alpine bowls and 10 lifts. Skiers and snowboarders enjoy 2,800 feet of vertical rise and about 350 inches of snow each year. Season: Late December to early March. Price Range: Daily tickets for adults are $104.95. Location: Distance from Glacier National Park – about 150 miles. Blacktail Mountain Resort, located in Lakeside, Montana, above Flathead Lake and Southwest of Glacier National Park, is an eclectic and affordable resort with 1000 skiable national forest acres. Skiers and shredders can enjoy 1440 feet of vertical elevation and 250 average inches of snow each season. Season: November to Mid-April, weather permitting. Price Range: Daily adult tickets are $42. Location: Distance from Glacier National Park – approximately 180 miles. Castle Mountain Resort, with more than 3,500 acres of skiable terrain on 78 trails including a 5-mile run and 3 terrain parks, is located in Southwest Alberta. Skiers and shredders enjoy a 2,833-foot vertical rise and 358 inches of snow each season. Season: December to early April. Price Range: Daily tickets for adults are $84. Location: Distance from Glacier National Park – roughly 90 miles. McDonald Creek -- accessed by following the Going-to-the-Sun Road. Autumn Creek – near the Continental Divide. Snyder Lake -- excellent for Nordic and downhill skiing. Essex, Montana, located near the southwest corner of Glacier National Park, offers great backcountry skiing opportunities, as do Granite Park, Logan Pass and Many Glacier. Those traveling into Glacier Park or surrounding backcountry areas in the winter should consider hiring a local guide listed here or go with someone who knows the area and is experienced in backcountry travel. Put “skiing” and “vacation” in the same sentence with “Glacier National Park area” and you’ve got a great combination. Check out area specials, packages, reservations, wedding information, and other essentials on this page. Rental ski equipment is available from several retailers in the surrounding Glacier communities. Enjoy cross country skiing in or near Glacier National Park at nearby Nordic centers like those located at the Whitefish Lake Golf Course, the Bigfork Community Nordic Center, and Big Mountain’s Nordic Center. 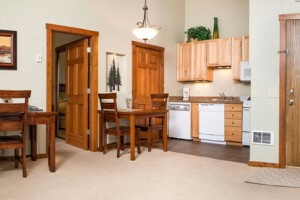 Glacier National Park area communities and resorts have a fantastic variety of luxury and basic lodging options for visiting and local snow enthusiasts, including ski in/ski out options. Snowboarders love Glacier National Park area resorts for their fun runs, terrain parks, cliffs and chutes, and great powder. The Glacier Country Avalanche Center provides informational and educational tools for backcountry users in northwest Montana. Find information on why, where, and how avalanches happen and how to stay away from them.